So, yeah. There ya go. Someone should fund me so I can fund you. 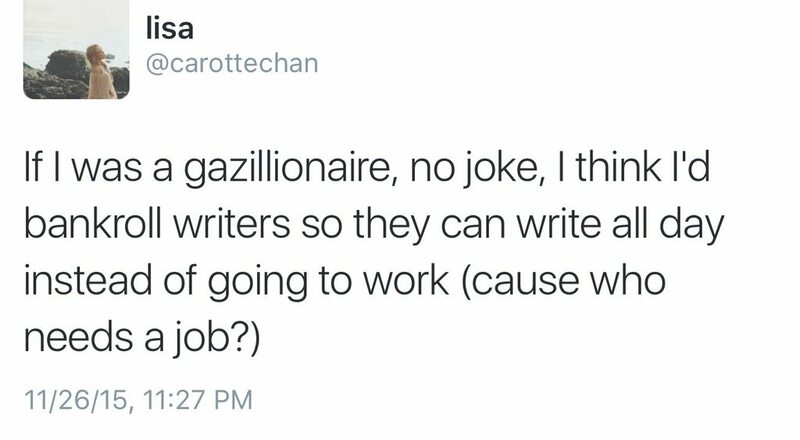 Or maybe they can just fund you... Yeah... Yeah. I'll periodically check my Paypal. Ya know. Just in case.